Massage therapy has its roots when many ancient civilizations around the world. The modern form of massage therapy incorporates all of these in some parts or the other to provide a complete package. 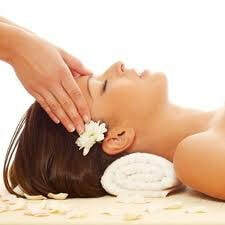 The Egyptians are believed to be ardent practitioners of massage. We all know that ancient Egyptians had an array of beauty and wellness techniques and massage therapy was one of the prominent ones. The ancient Indian system of medicine popularly known as Ayurveda is believed to make use of herbal oils and massages to cure certain ailments. These ancient techniques have now been adopted by spa and massage parlors all over the world. The traditional Chinese system of medicine also has a detailed account of therapeutic massage techniques. These techniques have been listed in the compilation known as “The Huangdi Neijing”. Many kings and queens had promoted the practice of massage in China. In the medieval times, many scholars, scientists and doctors have created compilations of massage techniques. Most notable out of them are Hunayn ibn Ishaq who translated the Roman medical therapies into Persian. From Asia, Dr Sun Si Miao discovered new massage techniques and even explained the importance of massages in the treatment of childhood diseases. Who knew the children are in for a treat as well! Talking about recent history, Pehr Henrik Ling is regarded as the “Father of Massage” as he introduced the popular practice of Swedish Massage into the world. Europe welcomed this form of medicine from China when a group of French Missionaries translated the Chinese Medical Literature into their language. They then incorporated their names and techniques to this system to give us many modern-day massage types. Another notable name in this field is Johan Georg Mezger, a Dutch practitioner with significant contributions in this field.